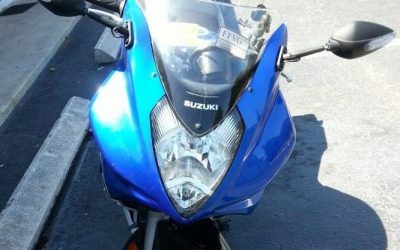 A motorcycle with stock headlights is simply another vehicle blended in with traffic. 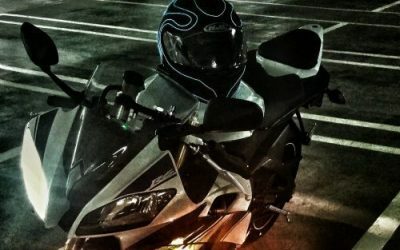 As a rider, you don’t ever want to blend in because your safety depends on it. As human beings, we are quicker to spot things that are in motion and things that are different. 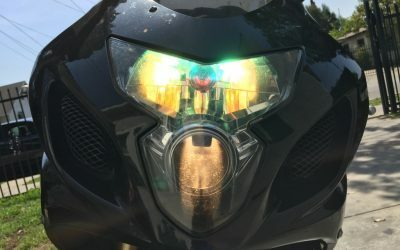 To every other driver on the road, when they’re looking in their left or right mirror and they see that light that looks like a majority of the vehicles on the road, the last thing on their mind is if that vehicle is a motorcycle. 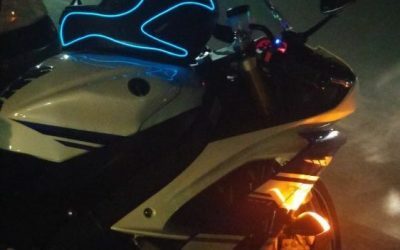 On the other hand, if your motorcycle has very bright lights or even a different color light, that will increase your visibility and alert drivers on the road. 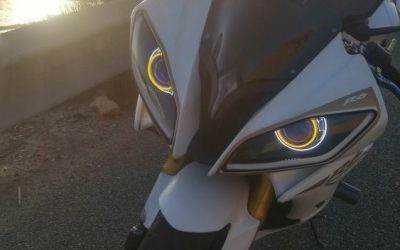 Ever since I’ve made the switch to installing HIDs on my motorcycle, cars have been making room for me to ride by as if it was a soul train line. 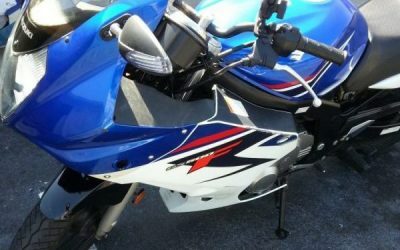 In this post, you’ll find ways to increase the chances of you being seen, while adding some style to your bike. 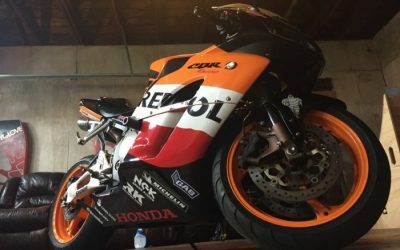 As with any modification to your bike, it’s always important to check with your state’s laws to see if that aftermarket part is street legal. Your level of visibility depends on the add-ons you install. How far are you willing to go to be seen? 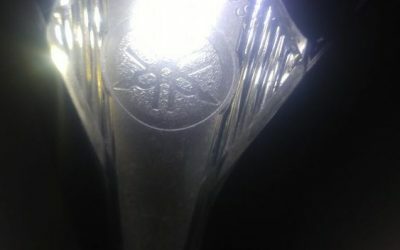 Below you’ll find a list of the types of lights you can install to increase your visibility. 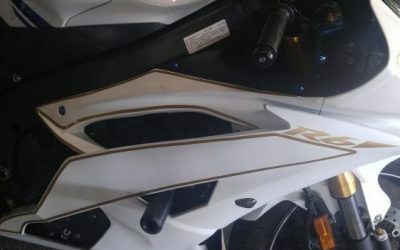 Upgrading from your stock lightbulb to a different colored lightbulb is a simple way to stand out on the road, while adding some style to your bike. 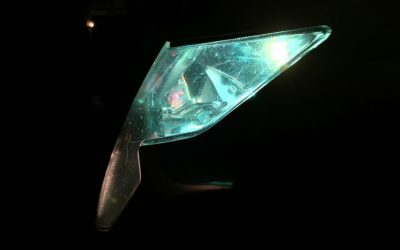 Although the brightness is not as strong as LEDs or HIDs, you are more likely to be noticed due to having a different colored headlight. The Philips ColorVision bulb comes in four different colors and is available in H4 and H7. 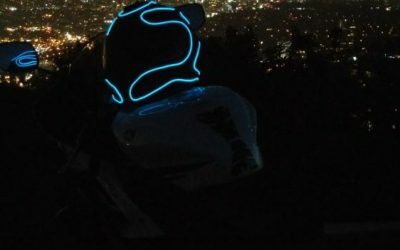 If you want to get the best of both worlds — customization and super bright lights — BKMOTO is the way to go. 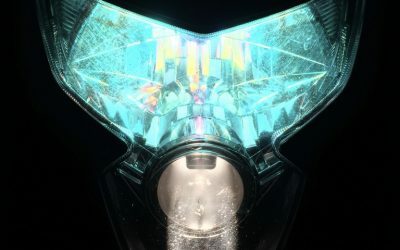 BKMOTO redefines style by providing riders with endless headlight variations. 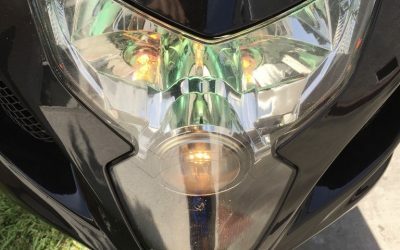 If you’re looking for very bright lights and a simpler installation process, BikeMaster’s LED Headlight Conversion Kit will fulfill those needs. 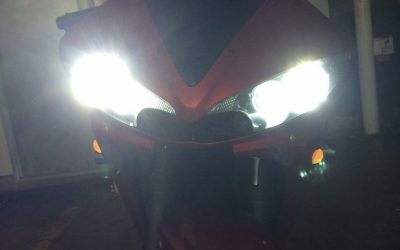 Although the scope of light does not compare to HIDs due to the beam pattern, an LED kit like this typically last much longer. 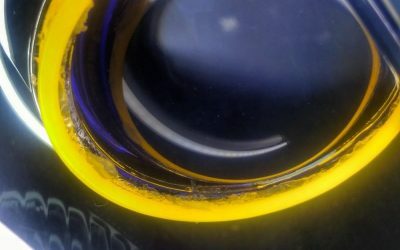 For a while I’ve kept my stock turn signals because I like the fact that it stuck out and that it’s clearly visible when I’m changing lanes or making a turn. 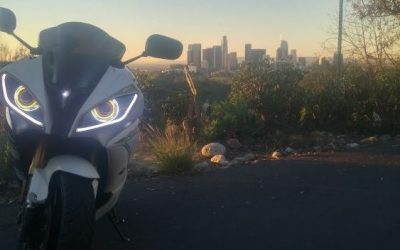 After a while, I wanted to go with a sleeker look, so I’ve went with flush lights. 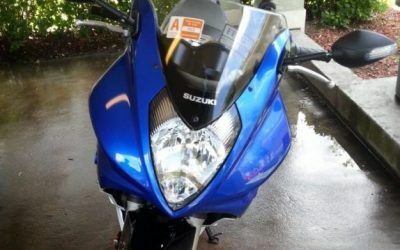 My first bike was a 2008 Suzuki GS500F. 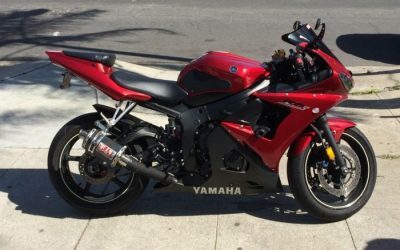 After I had went down on my bike, I decided to purchase frame sliders and mirrors with integrated turn signals. 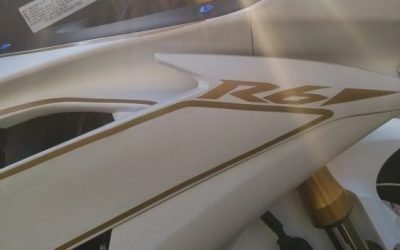 The frame sliders were a no-brainer, but the decision to get those type of turn signals was because I didn’t want to invest in the OEM turn signals, but I still wanted the blinkers to protrude. At the time, I wasn’t too familiar with flush lights, but my logic led me to think that when putting myself in a driver’s shoes, I don’t want to struggle to see if a small dot 10 yards behind me is trying to signal something. 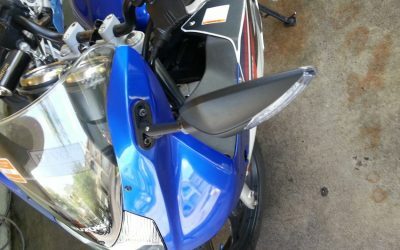 That’s when I decided to make the switch to mirrors with integrated turn signals. LightMode kits are like the whip cream, caramel drizzle, and cinnamon added to your already delicious milkshake. When I first considered improving my visibility, I bypassed the milkshake and bought the toppings. It’s a sweet tooth kind of thing. 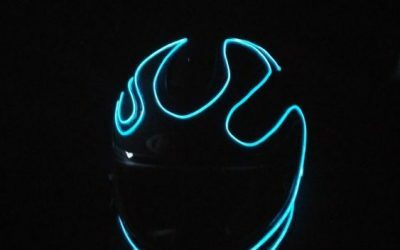 After putting the kit to use, there was no denying that every driver on the road did not see a brightly lit helmet in their rearview mirror. As you can see, there are several options to choose from to increase your visibility on the road. Feel free to drop a comment below. Tell us about which type of add-on you use to increase your visibility and don’t hesitate to share pics. Suitable article. I have shared this upon my twitter and facebook. Wonderful article. I’ve shared this upon my twitter and facebook. We appreciate it. Thank you!